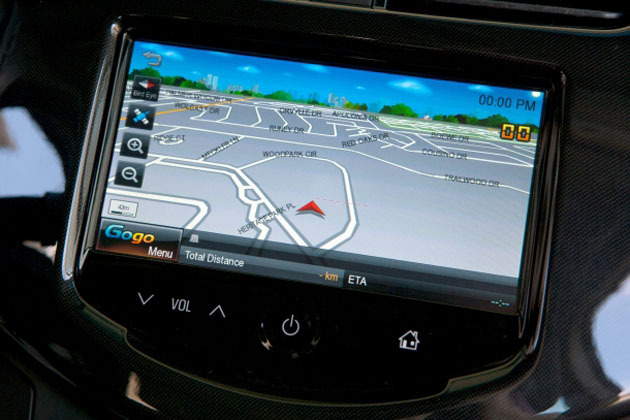 General Motors is launching a $50 smartphone app that will revolutionize the traditional dashboard navigation system. Dubbed, GoGo Link, the smartphone app will display the device’s navigation system via the dashboard touch screen, while the car speakers providing voice assist. South Korean company, EnGIS Technologies Inc., develops the app and the it features several in-dash car options that cost more than $1,000. However, this application is compatible only with Chevy’s MyLink touch screen system. While this system comes standard on high-end models, it is optional on low segment variants. While the GoGo Link is set to sizzle at the New York Auto Show, there is no word if the app will be borrowed for GM models. Compatible with iPhone or Android systems, the application will be featured in Chevrolet’s 2013 lineup including the Spark (Beat in India) and Sonic.